Welcome to the Eastbury Cottage Blog. We hope you will find our articles and posts interesting and informative. We want to keep you up to date with the latest happenings in the community of Hermanus via our blog posts, as well as presenting information that will help you plan your holiday and hopefully keep you coming back for more. We have included our other latest accommodation as a blog The Mayflower. Blog posts are authored by both Danica Kreusch and owner, Jenny Bowes Meyer. Danica was born in Hermanus and has grown up being part of the Tourism industry by spending many a weekend greeting and assisting visitors in the Hermanus Tourism Bureau. She has won many accolades for her writings and has completed her Honours Degree in Journalism at Rhodes University. Danica eagerly accepted the invitation to write articles for our blog. 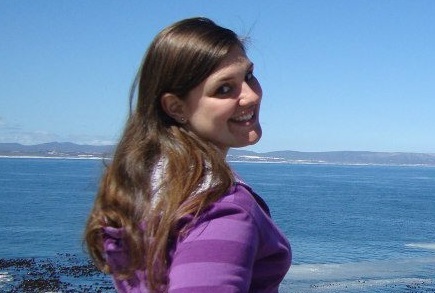 Jenny is passionate about Hermanus and its people, having lived there since 1985. Together with Danica, Jenny will be posting regular blogs with interesting information about Hermanus. Click here for more Information about Hermanus. Please do let us know by CONTACTING US if you have any subjects related to Hermanus that you would like us to research and publish. If you are interested in our story about how Eastbury Cottage came into being, please read ABOUT US. We shall also be sending out a bi-annual News Letter to our guests and invite you to SUBSCRIBE here. See our new restaurants added to the list! Things to do in Hermanus with Children: We explore activities in Hermanus that are suitable for children. Hermanus Railway Station has no Train: Why does Hermanus have a Station but no train? Enjoy finding out all about Hermanus! When you realise that there is so much to do in Hermanus, you will surely want to extend your time in Hermanus while staying with us at Eastbury Cottage …we are situated very close to many of the most important amenities and offer Selfcatering and Bed and Breakfast! SOUTH AFRICAN TOUR OPERATORS: Wanting to book a tour around South Africa?